Bentley Little was born in Arizona. 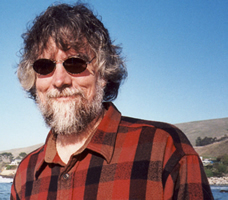 He received a BA in Communications and an MA in English and Comparative Literature from California State University. He currently lives in Fullerton, California with his wife and son. He also writes under the pseudonym ‘Phillip Emmons’. CLICK HERE FOR MORE BOOKS BY BENTLEY LITTLE. Until I read Indignities of the Flesh I hadn’t heard of Bentley Little, although he’s been published in magazines like Cemetery Dance, which I used to read. 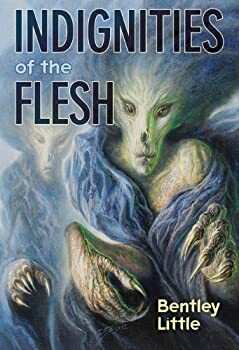 Indignities of the Flesh is an anthology containing ten of Little’s surrealistic horror tales. One, “Valet Parking,” is original to this collection. Bentley Little provides a paragraph before each story, talking about the inspiration. Not surprisingly, many of his inspirations for horror stories are things that frighten him or creep him out; clowns, for instance, in “Rodeo Clown”; valets in “Valet Parking.” Some, like “Documented Miracles,” sprang from experiences Little had as a journalist.